So you are turning 65 and you know it’s time to enroll in Medicare. Our friends at MedicareCU want to help you make the process as simple as possible. Really there is only one step you have to make on your own and that is calling your Credit Union Medicare Advisor for help. Your Advisor will help you better understand Medicare and the options you have based on your specific needs. They will also coach you through signing up for Medicare so that you are covered correctly. 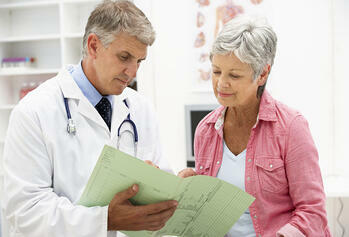 Medicare can be very confusing and now you have a trusted source for information and help. Your credit union Advisor is ready to help! Your Initial Enrollment Period (IEP) is your first chance to sign up for Medicare. It begins 3 months before you turn 65, includes your 65thbirthday month, and lasts 3 more months after your birthday month. So you have a total of 7 months to enroll in Medicare. We recommend enrolling during the first 3 months of your IEP. Coverage may be delayed if you enroll during your birthday month or later. Original Medicare is made up of Part A and Part B. It’s provided by the federal government. Medicare Part A helps cover inpatient care in a hospital or skilled nursing facility. Most people get Part A without having to pay a monthly premium. People who do pay a premium may pay up to $411 per month in 2016. Medicare Part B helps cover outpatient care like doctor visits and preventive screenings. Your Part B premium is based on when you enrolled in Medicare and on your income. The amount ranges from $104.90 up to $389.80 per month in 2016. Other out-of-pocket costs with Original Medicare may include deductibles, co-pays and co-insurance. Medicare contracts with private insurance companies to offer more coverage choices to beneficiaries. Medicare Advantage (Part C) is an alternative to Original Medicare. Plans must provide the same coverage as Parts A and B. Many plans also offer additional benefits, like coverage for prescription drugs and routine dental and vision care, all in one plan. Medicare Part D helps pay for prescription drugs. This coverage is not included with Original Medicare. You can add drug coverage through a standalone Part D prescription drug plan. Or you may enroll in a Medicare Advantage plan with drug coverage included. You may have many private Medicare plans to choose from depending on where you live. Coverage, premiums and out-of-pocket costs may differ from plan to plan. It’s important to shop around [if you want coverage beyond what Original Medicare provides]. Medicare supplement insurance plans (Medigap) help cover some out-of-pocket costs that Original Medicare (Parts A and B) doesn’t pay. Plan availability may vary from state to state. You must be enrolled in both Part A and Part B before you can join a private Medicare plan or a Medicare supplement insurance plan. You’ll be automatically enrolled in Original Medicare (Parts A and B) if you are getting Social Security benefits when you turn 65. You’ll get your Medicare card in the mail several months before your birthday. Otherwise, you may enroll yourself at your local Social Security office or at Medicare.gov. Certain late enrollment penalties may apply if you miss or delay enrolling during your IEP. You might consider enrolling in just Part B if you are working past age 65 and have employer coverage. Your employer plan must meet certain requirements to be “creditable.” Talk with your benefits manager about how your employer plan might work with Medicare. Contact your credit union Medicare Advisor, Stanton Furness, at 801-793-1680 for more information and to schedule a no cost consultation.